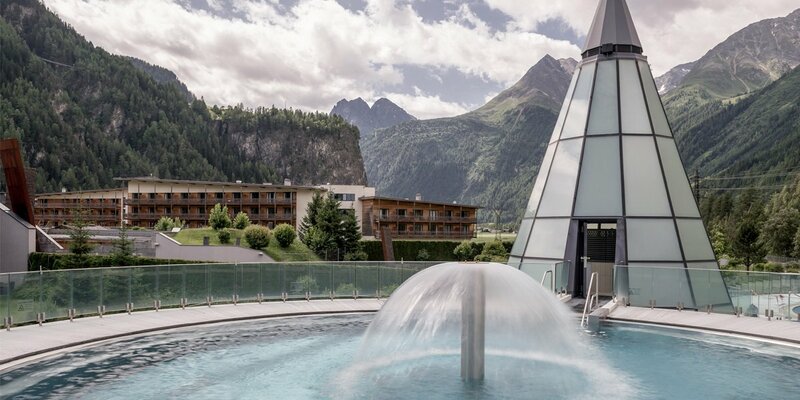 The unrivaled Aqua Dome Spa Center - Tirol Therme Längenfeld is only a 15-minute drive away from Sölden (in the neighboring village of Längenfeld). 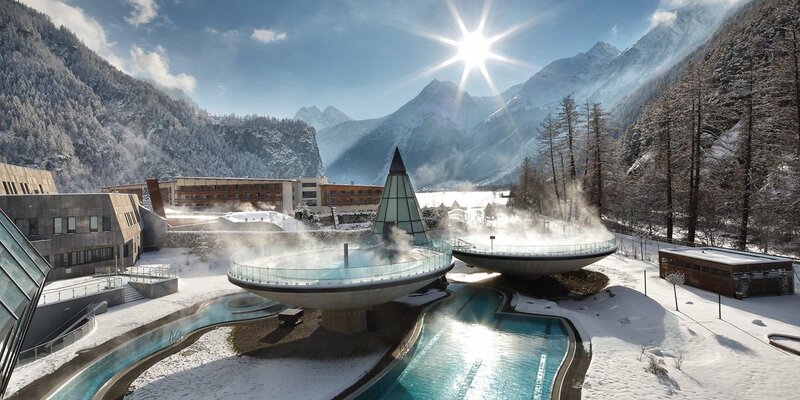 A truly incredible thermal spa right at the heart of Ötztal's mountains. 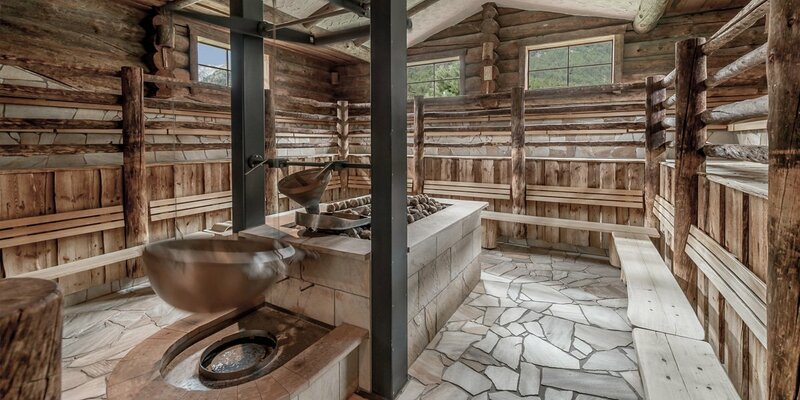 Healing thermal water coming from deep inside the Earth. Coupled with awe-inspiring views of the nearby summits higher than 3000 meters. 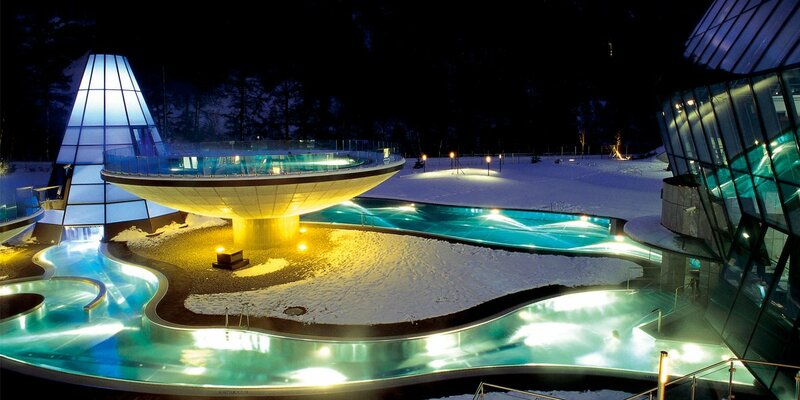 The Aqua Dome spa center is a perfect combination of opposites which attract body, mind and soul. Floating weightlessly in the saltwater pool by indulging in the breathtaking view of three thousand meter high peaks: A wellness dream comes true at Aqua Dome and its 50,000 square meters full of recreational highlights. 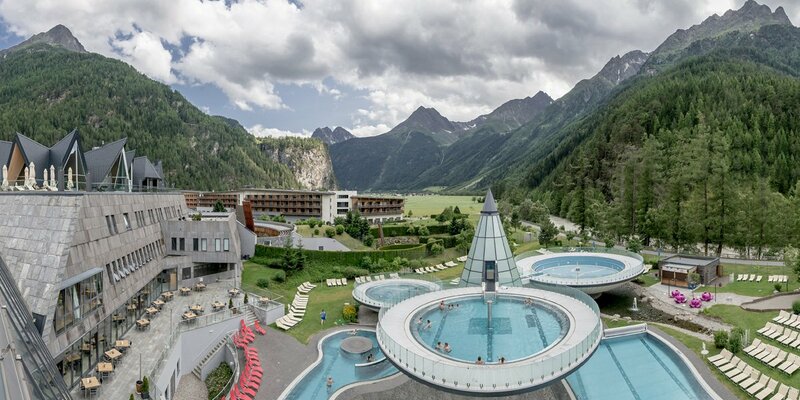 The most modern and outstanding thermal spa in the Alps - also from an architectural point of view. Indulge in the futurist sauna and water parlors: three unique outdoor pools on stilts, one sports pool, two indoor pools, an activity pool, "Arche Noah" kids' pool, a huge sauna world, beauty treatments and an exclusive SPA3000 area await you here. Among the undisputed highlights ranks the Moonshine Bathing Night until midnight every Friday. Spend romantic moments under Längenfeld's starry sky. More detailed information on the Aqua Dome available here.